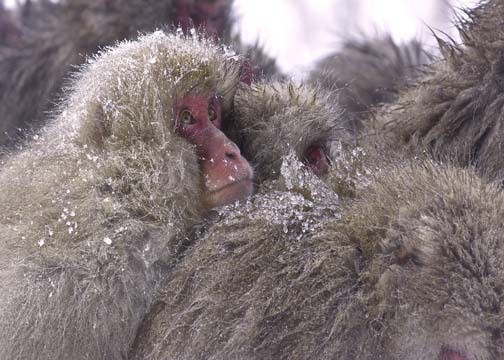 In the frigid valleys of Japan’s Shiga Highlands, a troop of snow monkeys functions in a complex society of rank and privilege where each knows his and her place. NATURE: SNOW MONKEYS capture their story. Their leader is still new to the job and something of a solitary grouch. One innocent little monkey, unaware of his own low status, reaches out to this lonely leader and they form a rare and remarkable bond that alters both their lives. Changing seasons bring new babies, family disagreements and tragedies. Mating season brings competition for females as the days grow shorter and colder in the rush to winter. With their now confident leader to guide them and their families to shelter and care for them, these snow monkeys are ready to face the world.